Product categories of Conveyor for Copper Granule, we are specialized manufacturers from China, Cable Conveyor, Wire Conveyor suppliers/factory, wholesale high-quality products of Conveyor for Copper Granule R & D and manufacturing, we have the perfect after-sales service and technical support. Look forward to your cooperation! 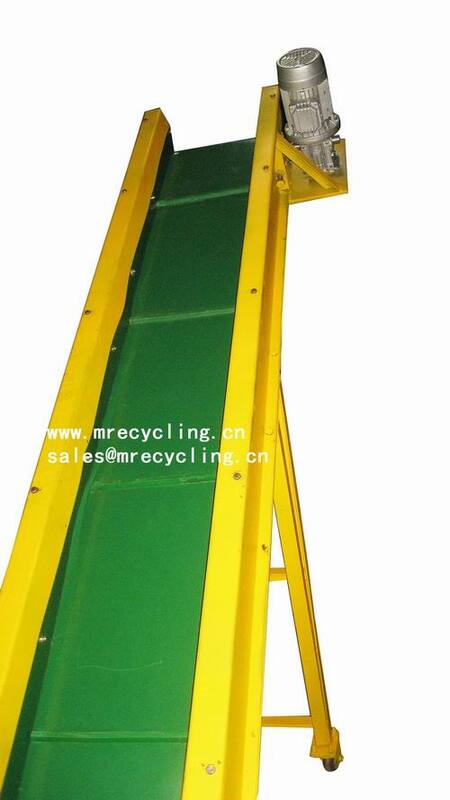 The conveyor belt feeds cables&wires into the crusher for chopping. cables&wires automatic drop into crusher via conveyor.